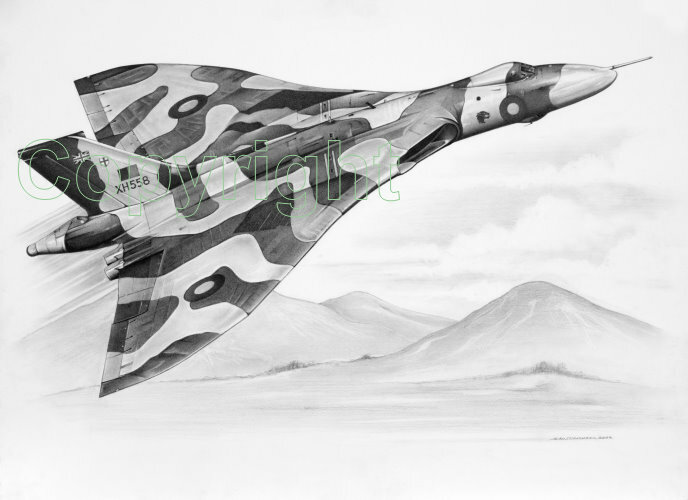 This new drawing depicts the Avro Vulcan XH 558, one of Britian's most iconic aircraft, developed during the cold war in response to the threat of nuclear attack. XH 558 is the only flying Vulcan in existence and relies on constant support to keep it airworthy for the public to enjoy. Squadron Leader Martin Withers DFC Operational Commander and Chief Pilot of Vulcan XH558 and also individually signed, numbered and embossed by Alan Stammers.